A moose and her calf vista my wood pile and burn barrel last summer (2013). 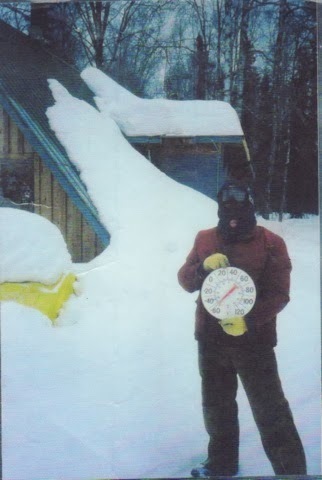 -58 at my moose hunting cabin. 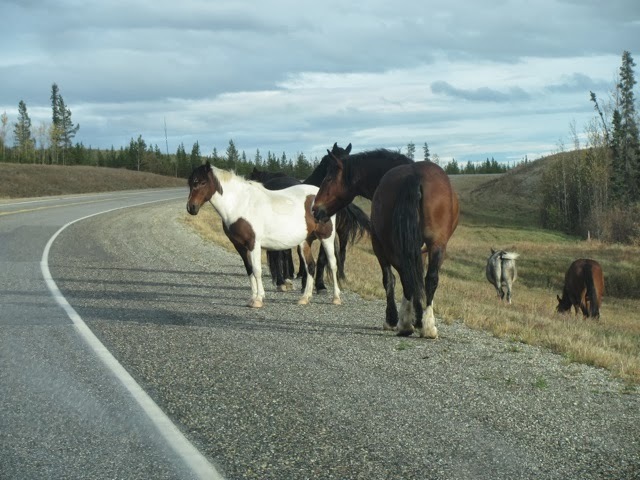 Semi wild horses in the Yukon Territory. They run wild and are rounded up for fall hunting. 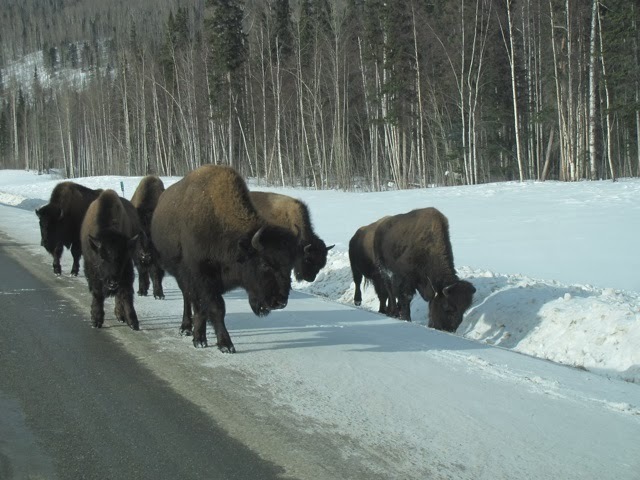 Bison in northern British Columbia on the Alaska Highway. 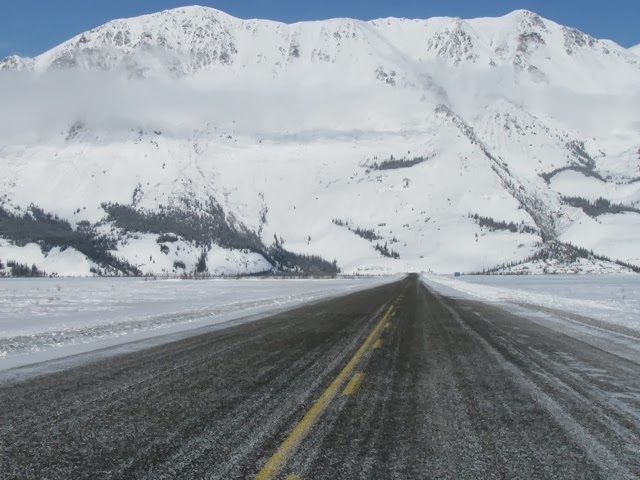 Approaching Kluane Lake in the Yukon in mid-March. 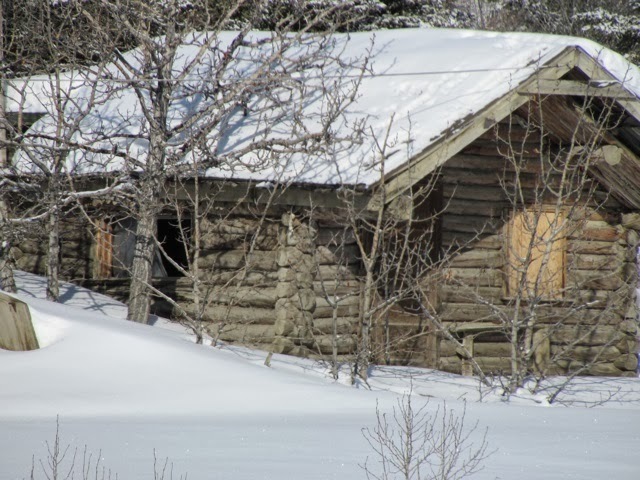 Old trapper's cabin at Kluane Lake's east end. 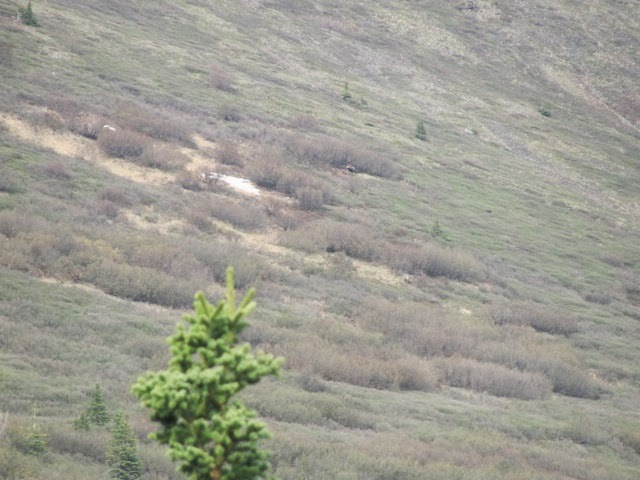 Look close and see a wolf feeding on road kill in the Yukon. 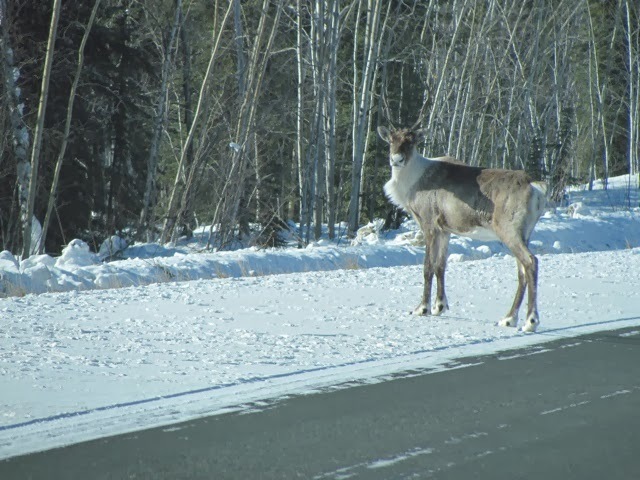 Female caribou on the Alaska Highway in March. Females keep their antlers until spring. 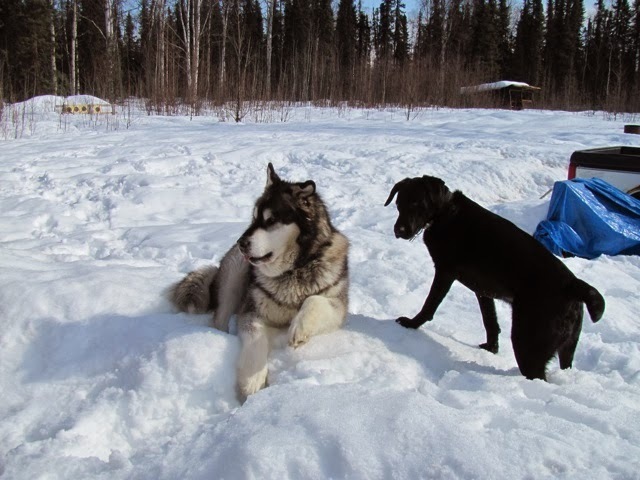 My Lab, Blackie, and his pal Bubba, a Malemute. 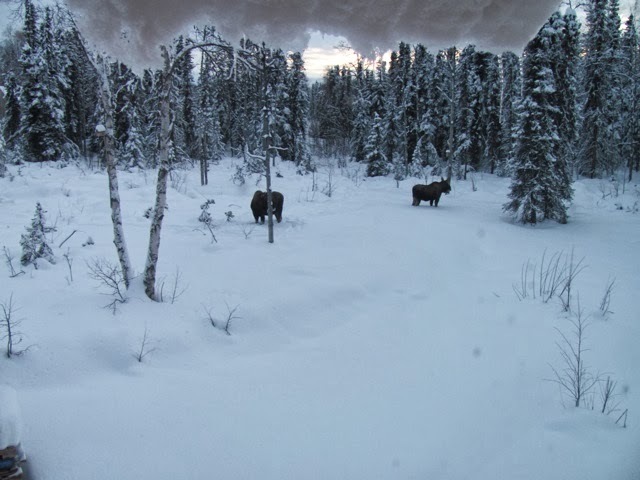 Look close at the center and see a cow moose feeding. Her calf is hidden in the brush. 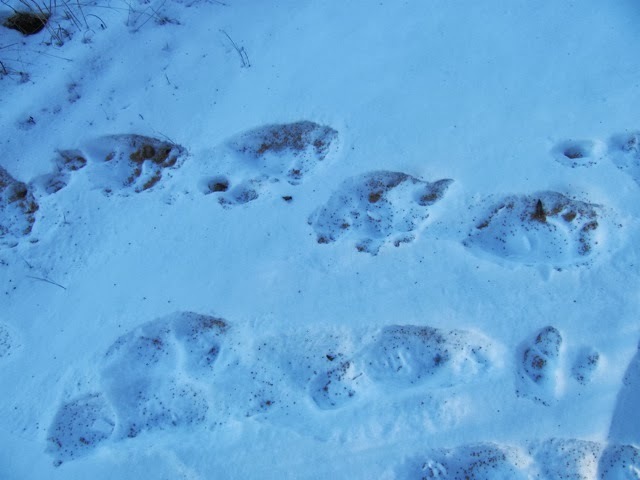 Grizzly track whilst hiking off the Denali Highway. .600 cartridge is 3 1/2 inches long. A quiet lake off the Denali Highway. I'm glad folks prefer to live in cities and keep the outback wild. 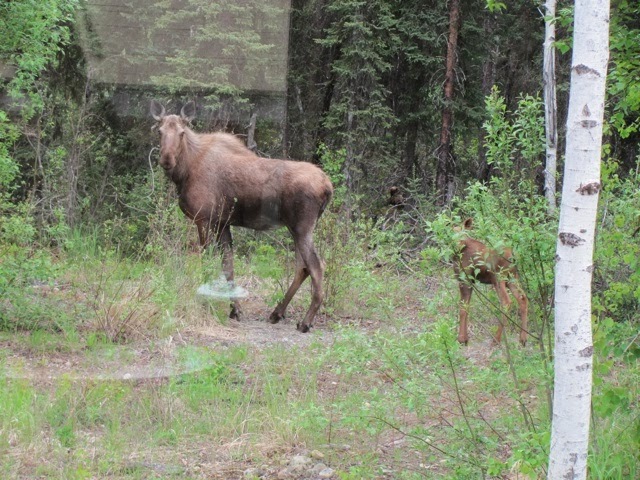 Moose and her calf from my living room window. 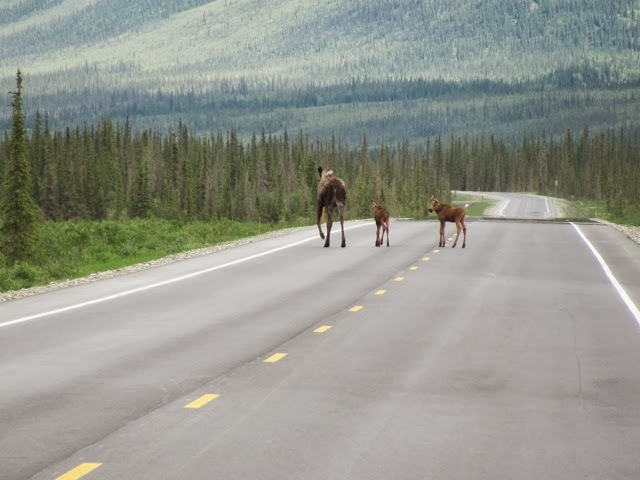 Moose and her two calves on the Haul Road (Dalton Highway), about 100 miles north of the Arctic Circle. 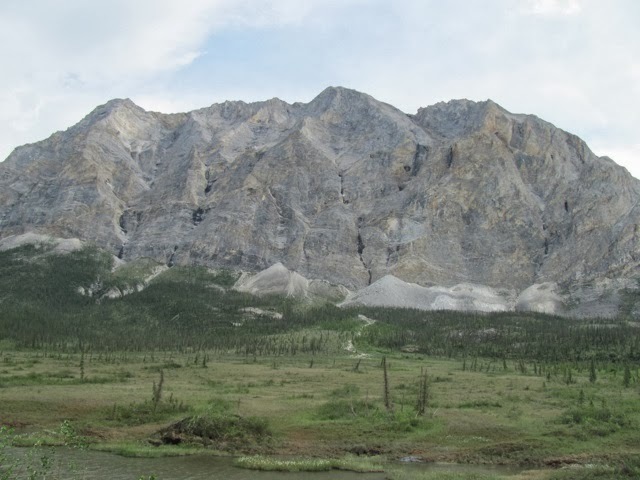 Sukapak Mountain on the Dalton Highway. 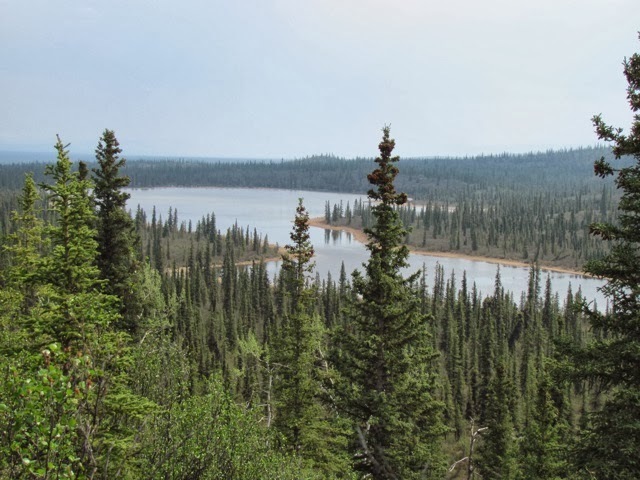 Traditional boundary between the Eskimo and Athabascan peoples. 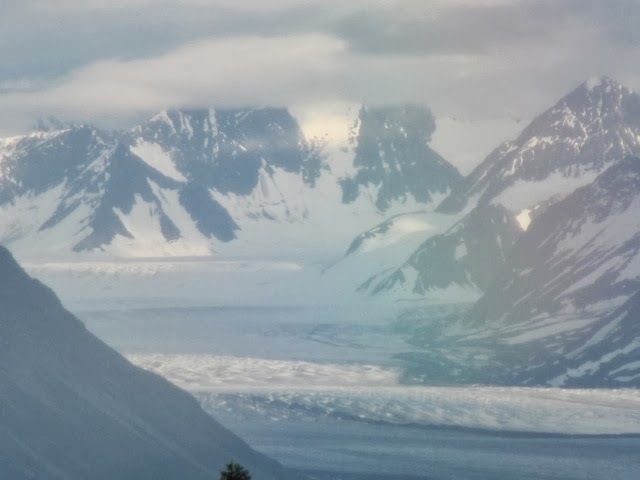 100 miles east of Anchorage, looking south from the Glenn Highway. Same view as above but in close. Approximately same area as the above photo. 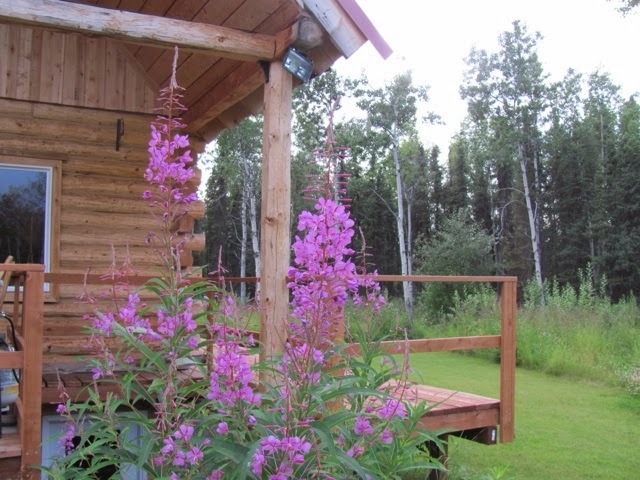 From caribou camp 60 miles south of the Arctic Ocean. 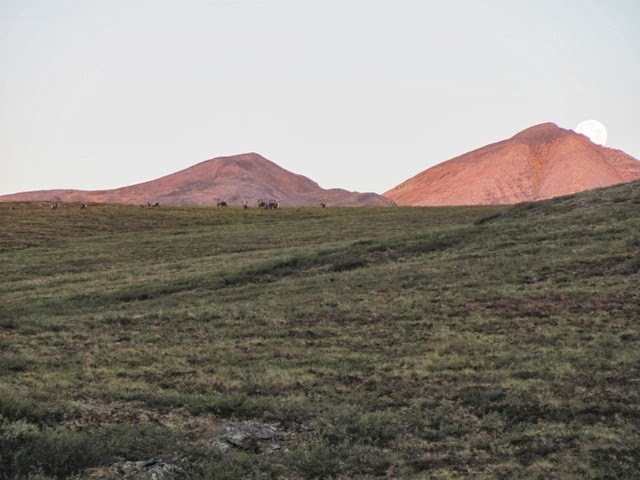 Look close and see some good bulls. 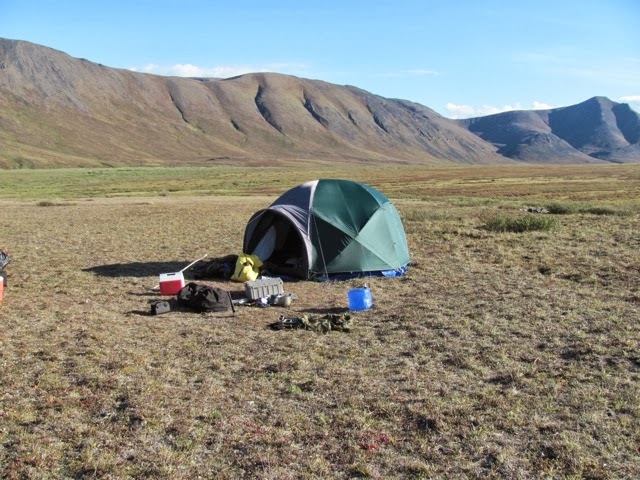 Tent at caribou camp in ANWR. I'm 230 miles north of the Arctic Circle. 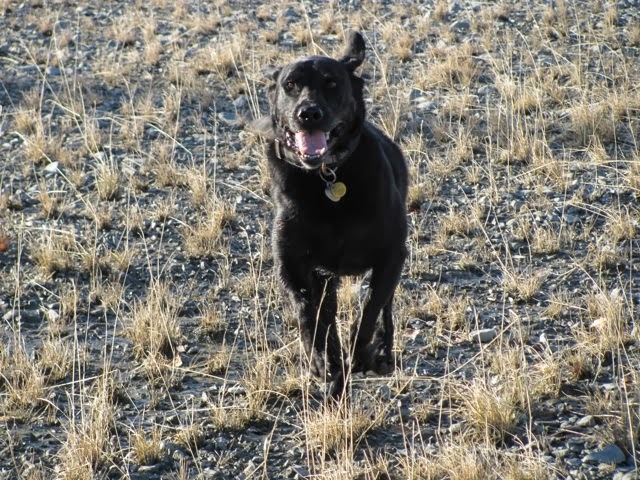 A happy dog on the shores of Kluane Lake in the Yukon during the fall. 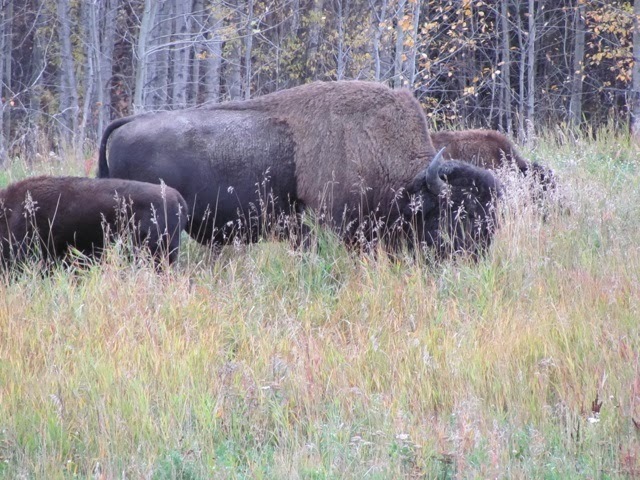 British Columbia bison in the fall. 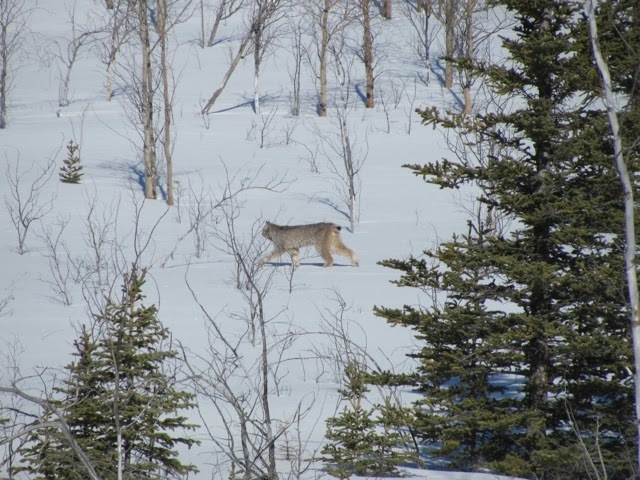 Lynx in the Yukon in March. 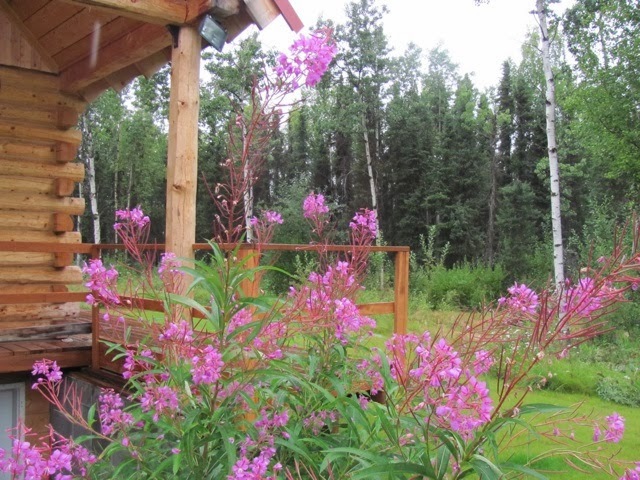 Fireweed at my home in Willow in August. 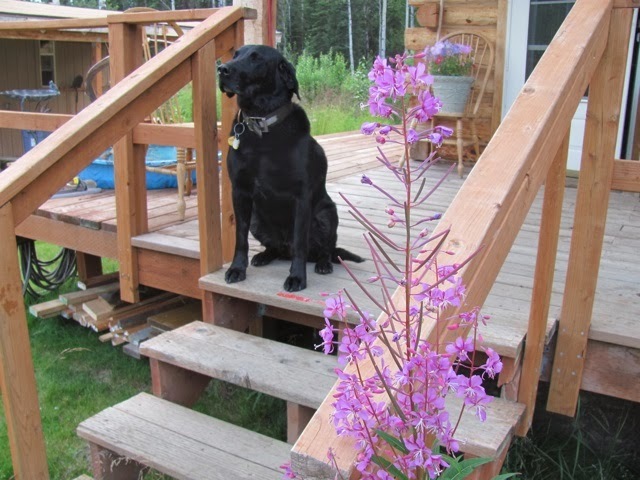 Fireweed flower from the bottom up. When the top is reached, summer is about over. Blackie on my front deck in August. 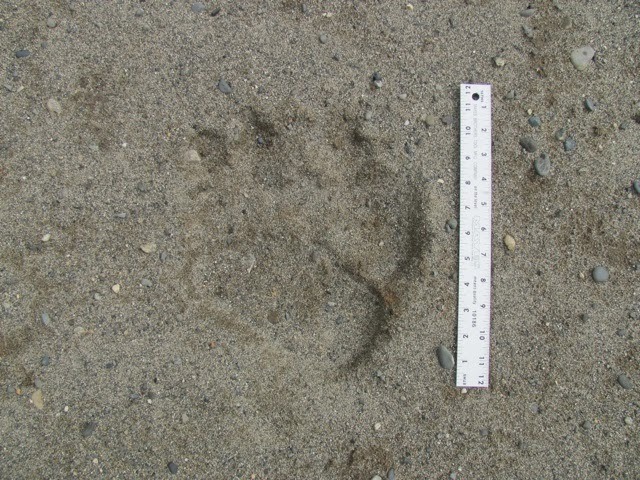 A washed out brown bear track in my driveway in the summer. 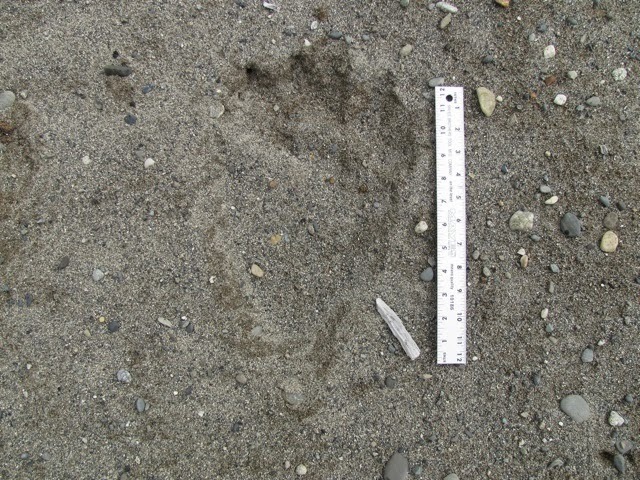 He passed through during a rain storm and much of the print was washed out but you can get a good idea of his size. 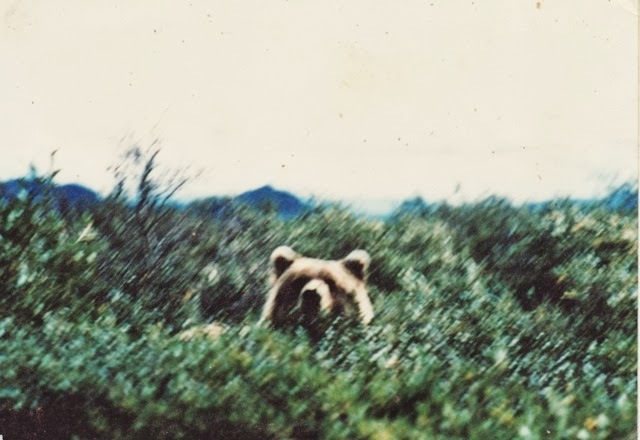 Rear print of the same bear. 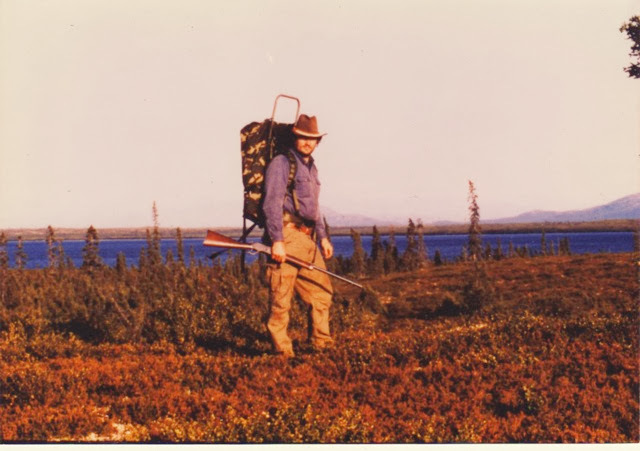 On a caribou hunt in western Alaska before my double rifle days. I have always been attracted to unique rifles and this one is a Winchester model 1876 with sights from London's Holland and Holland. Moose from my loft window, looking to the south, in January. 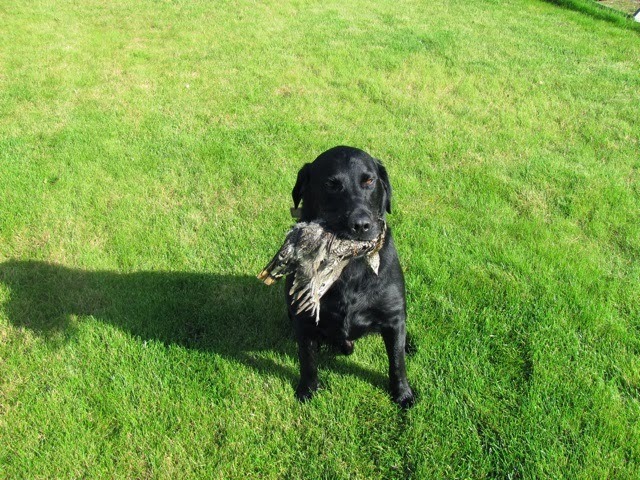 Blackie with his first grouse! 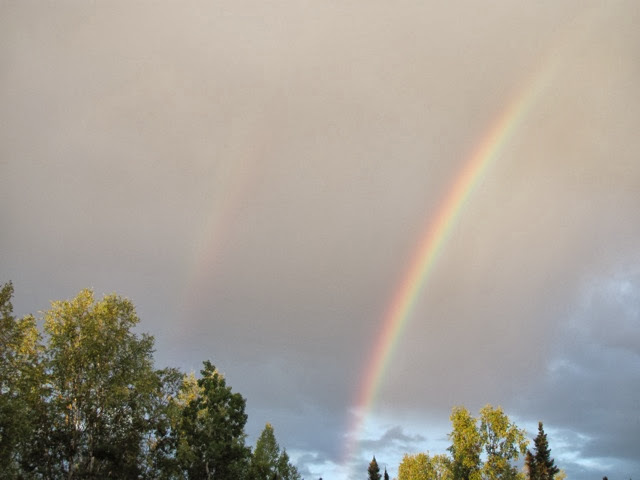 Double rainbow from my deck. Brown bear tracks on the beach on a float trip. 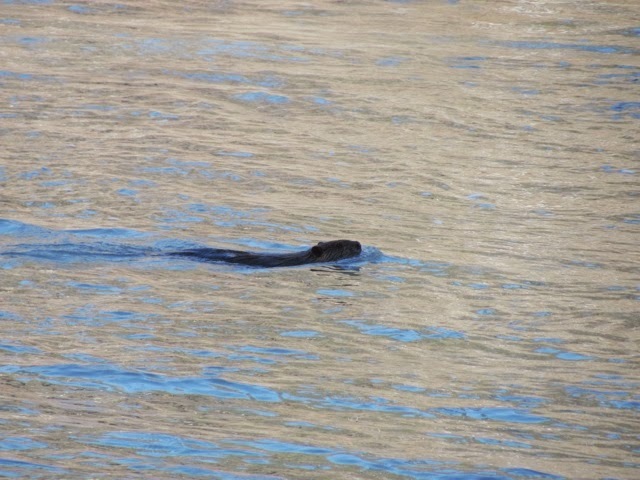 Beaver swimming by my camp on the Chulitna River. 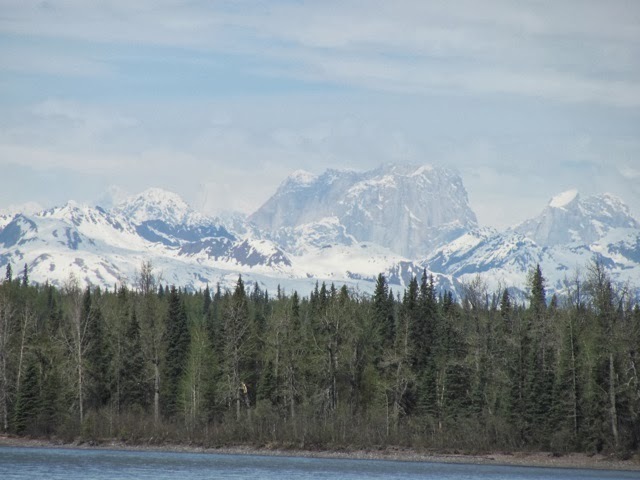 Mountains from the Talkeetna River on a float trip. 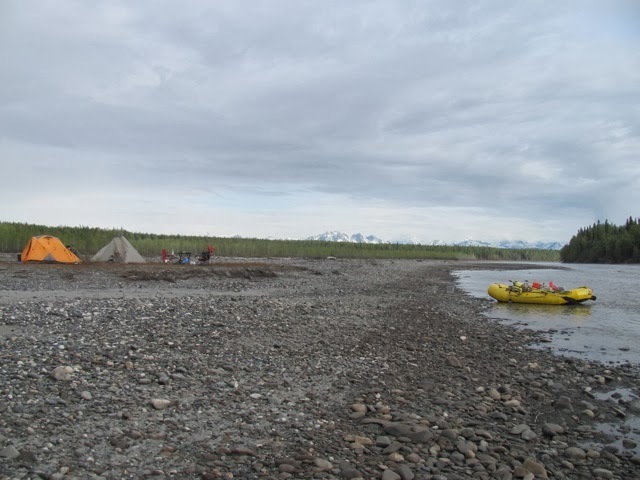 Camp on the float trip. More mountains on the trip down the river. 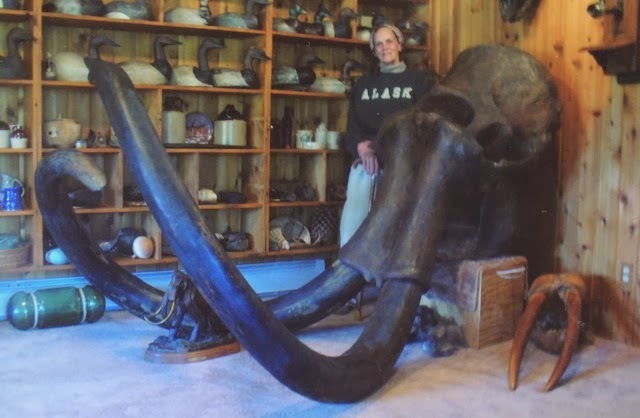 My mom at a friend's house with a mammoth skull and tusks. The tusks are about 11 feet long and weigh nearly 250 pounds of fossilized ivory. 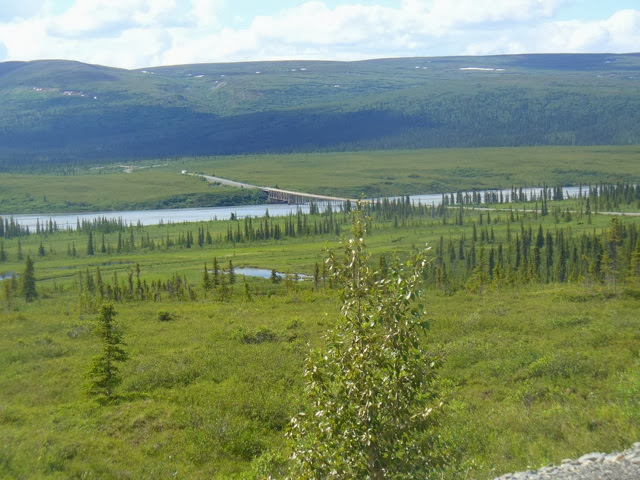 Scenery on the Denali Highway in the summer. 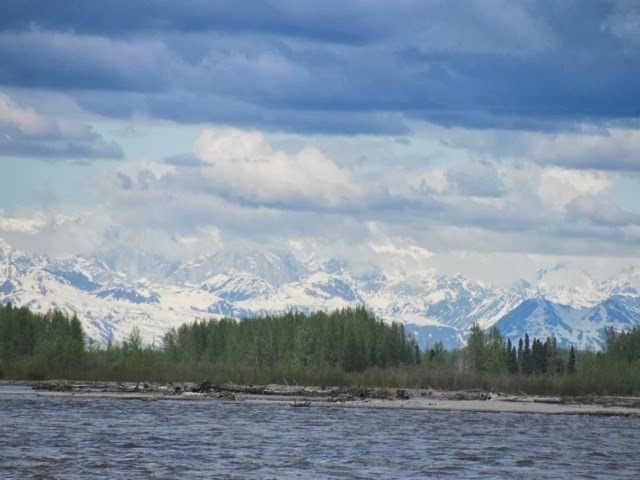 The river is the Susitna. 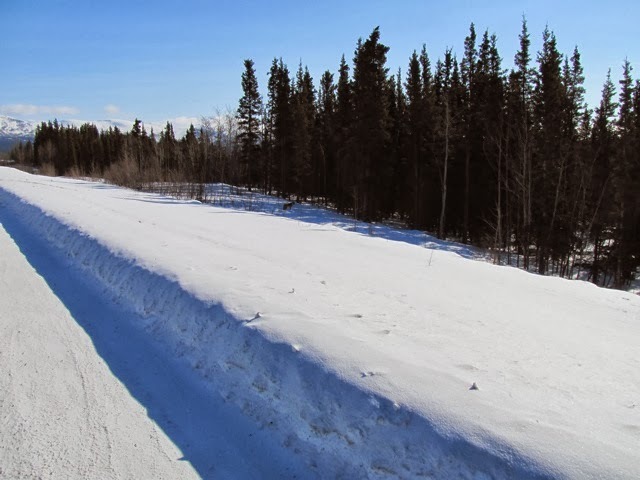 More from the Denail Highway looking to the bridge over the Susitna River. 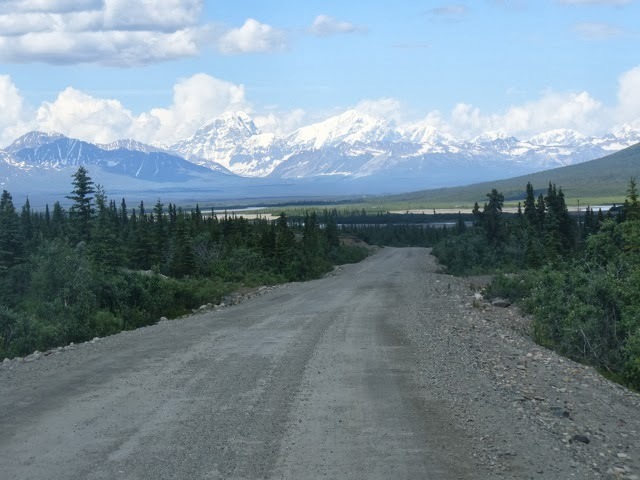 The Denali Highway and the Alaska Range. 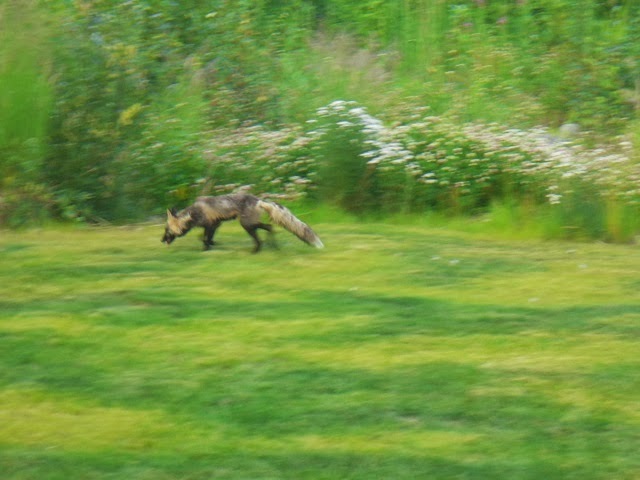 Fox from my living room window. 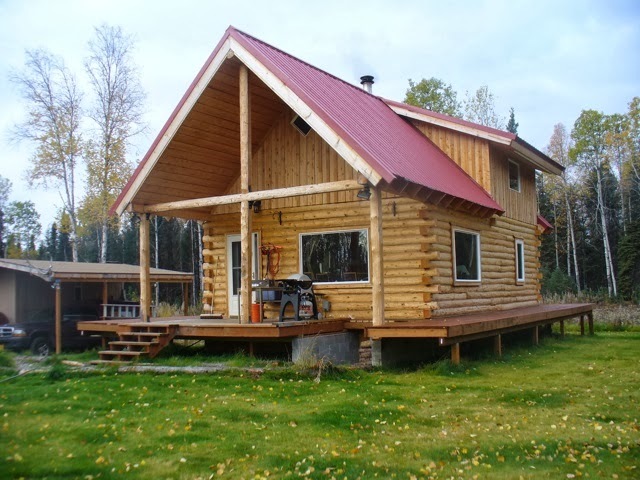 My cabin before the deck roof was added in 2013. 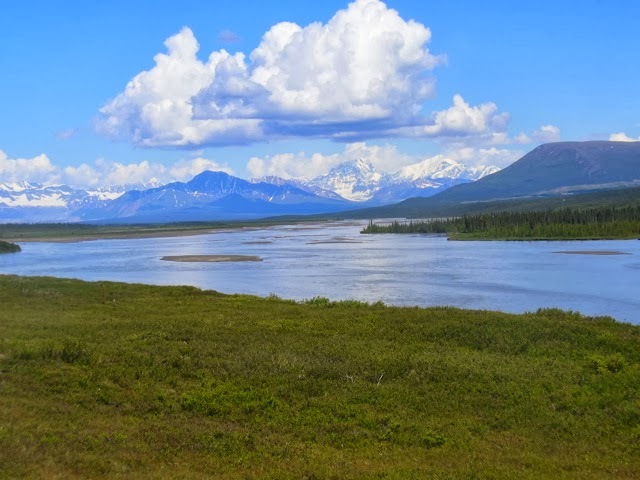 Denail Highway and the Susitna River. 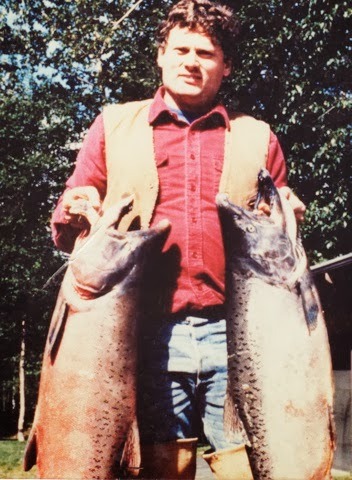 I'm not much of a fisherman but here I am in 1987 with two king salmon, 50 and 55 pounds. The fishing was so good that day (caught theist two in 15 minutes) I knew it would never get any better than this and I have not picked up a rod since! 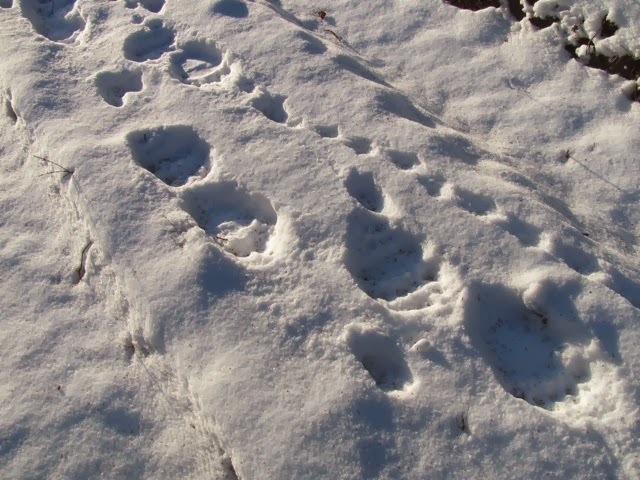 Grizzly tracks on a walk with my dog in November about 1/4 mile from my house. 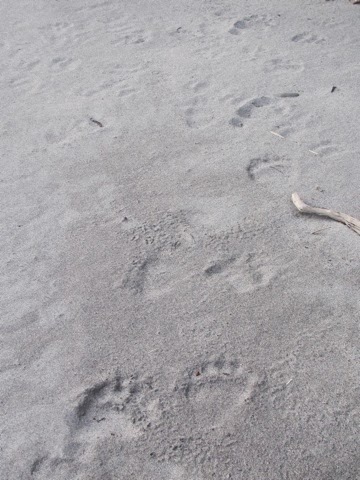 Same bear as above made these tracks. 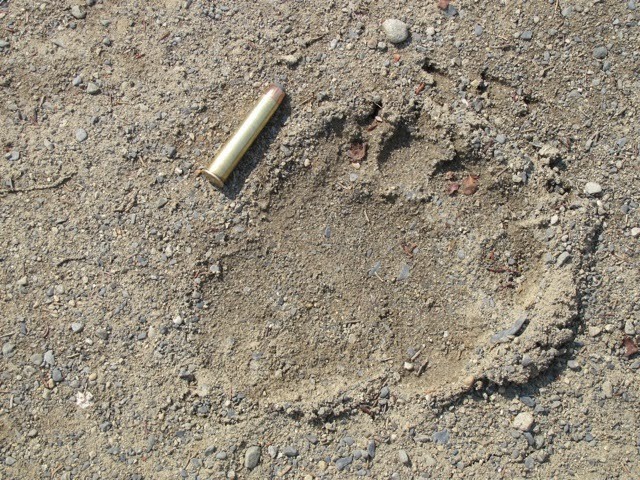 Shown with my foot prints to compare size. 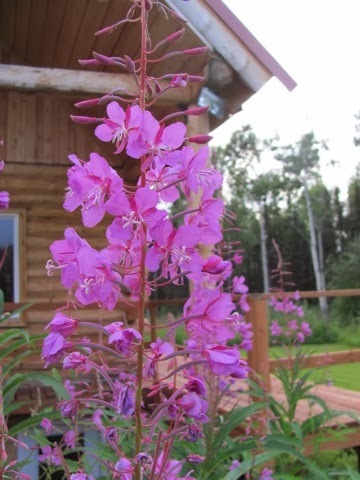 Fireweed at my log home. 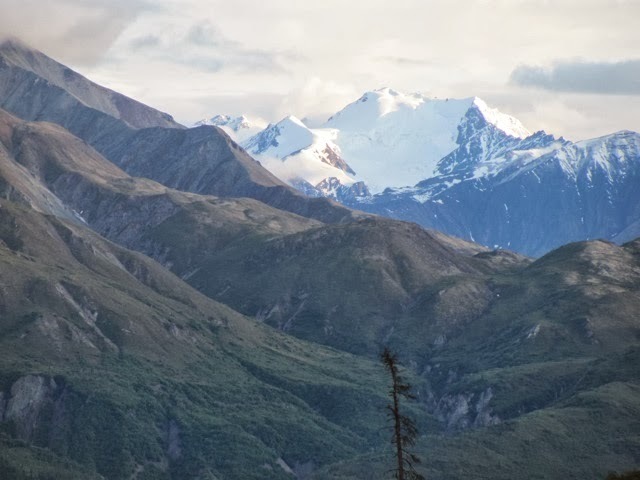 A nice view of McKinley from near my property line. 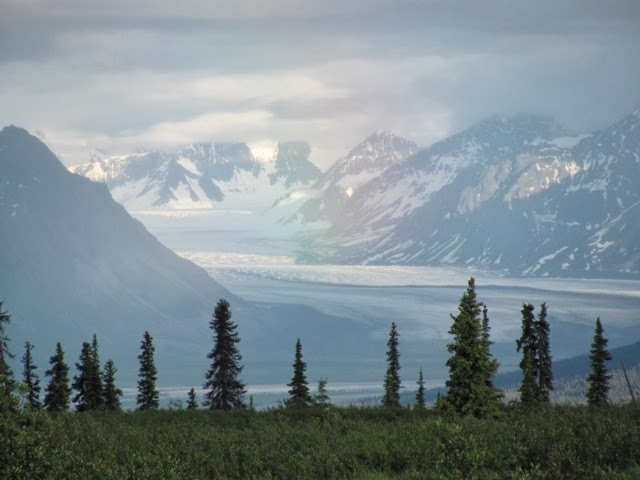 Alaska's ice fog produces spectacular sights. Very cold air with high moisture content. The fox still comes around late at night looking for food.